The Stockton Heat, proudly owned by the NHL’s Calgary Flames, invite you out to enjoy a hockey game at the beautiful Stockton Arena! Go Heat, go! Experience a hockey game first hand and come see how exciting the fast-paced, hard-hitting hockey action is for yourself. The Stockton Heat came to town in 2015 and continue to provide a fun and exciting atmosphere at family friendly prices while looking to spread their love for the game of hockey. 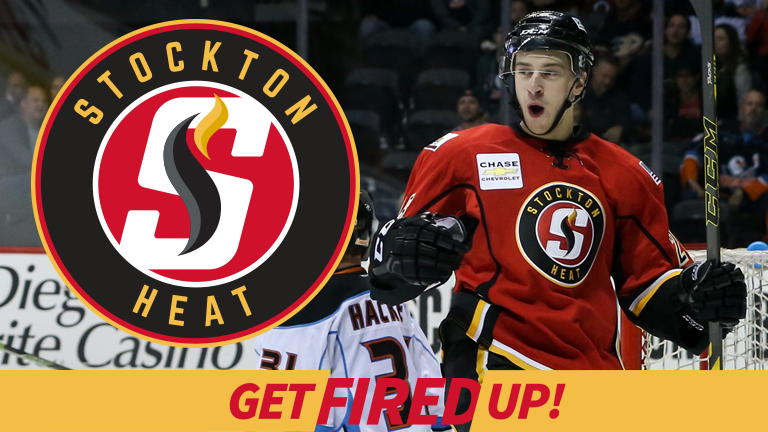 Enjoy a night out in Downtown Stockton at the Stockton Arena cheering on the Stockton Heat! Fans take their Thursday or Friday receipt from participating McDonald’s and bring it to the Heat Box Office for a buy-one, get-one free ticket deal!